from original documents in his personal library. Copyright © 2012 by Dr. David C. Bossard. All rights reserved. The Working-man's true Policy. -- His only Mode of acquiring Power. -- The Exercise of the Faculties essential to Enjoyment. -- No necessary Connection between Labor and Unhappiness. -- Narrative. -- Scenes in a Quarry. -- The two dead Birds. -- Landscape. -- Ripple Markings on a Sandstone Slab. -- Boulder Stones. -- Inferences derived from their water -- worn Appearance. -- Sea-coast Section. -- My first discovered Fossil. -- Lias Deposit on the Shores of the Moray Frith. -- Belemnite. -- Result of the Experience of half a Lifetime of Toil. -- Advantages of a Wandering Profession in Connection with the Geology of a Country. -- Geological Opportunities of the Stone-Mason. -- Design of the present Work. The Old Red Sandstone. -- Till very lately its Existence as a distinct Formation disputed. -- Still little known. -- Its great importance in the Geological Scale. -- Illustration. -- The North of Scotland girdled by an immense Belt of Old Red Sandstone. -- Line of the Girdle along the Coast. -- Marks of vast Denudation.--Its Extent partially indicated by Hills on the western Coast of Ross-shire. -- The System of great Depth in the North of Scotland. -- Difficulties in the Way of estimating the Thickness of Deposits. -- Peculiar Formation of Hill. -- Illustrated by Ben Nevis. -- Caution to the Geological Critic. -- Lower Old Red Sandstone immensely developed in Caithness. -- Sketch of the Geology of that County. -- Its strange Group of Fossils. -- their present Place of Sepulture. -- Their ancient Habitat. -- Agassiz. 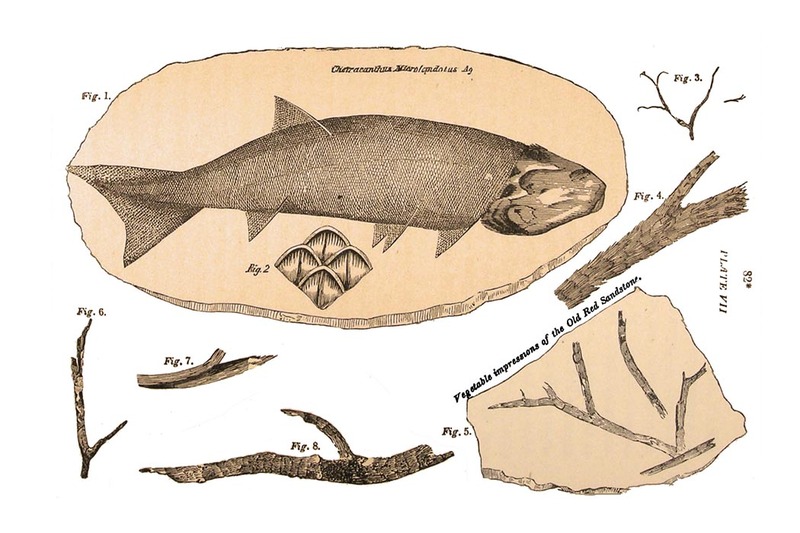 -- Amazing Progress of Fossil Ichthyology during the last few Years. -- Its Nomenclature. -- Learned Names repel unlearned Readers. -- Not a great deal in them. Lamarck's Theory of Progression illustrated. -- Class of Facts which give Color to it. -- The Credulity of Unbelief. -- M. Maillet and his Fish-birds. -- Gradation not Progress. -- Geological Argument. -- The Present incomplete without the Pest. -- Intermediate Links of Creation. -- Organisms of the Lower Old Red Sandstone. 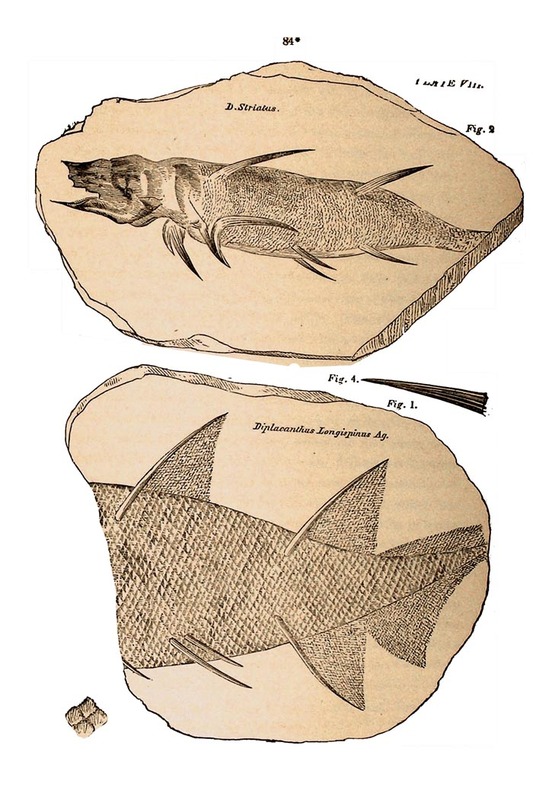 -- The Pterichthya. -- Its first Discovery. -- Mr. Murchison's Decision regarding it. -- Confirmed by that of Agassiz. -- Description. -- The several Varieties of the Fossil yet discovered. -- Evidence of violent Death in the Attitudes in which they are found. -- The Coccosteus of the Lower Old Red. -- Description. -- Gradations from Crustacea to Fishes. -- Habits of the Coccosteus. -- Scarcely any Conception too extravagant for Nature to realize. The Elfin-fish of Gawin Douglas. -- The Fish of the Old Red Sandstone scarcely less curious. -- Place which they occupied indicated in the present Creation by a mere Gap. 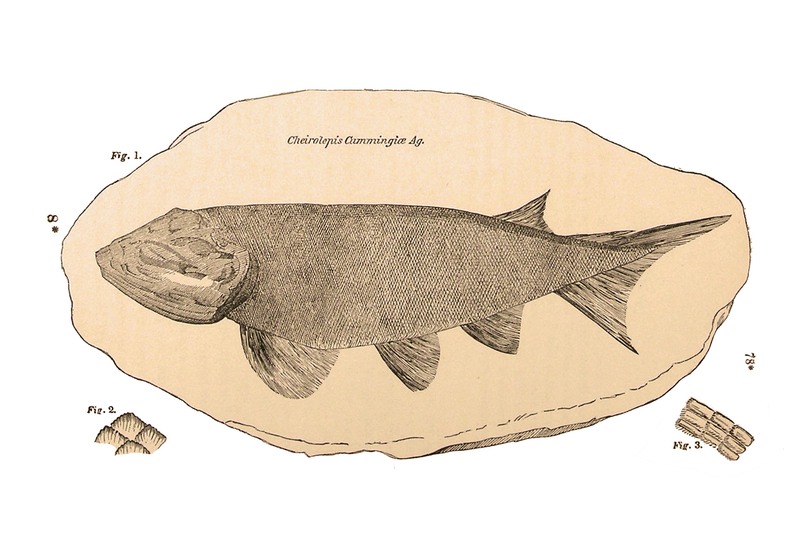 -- Fish divided into two great Series, the Osseous and Cartilaginous. -- Their distinctive Peculiarities. 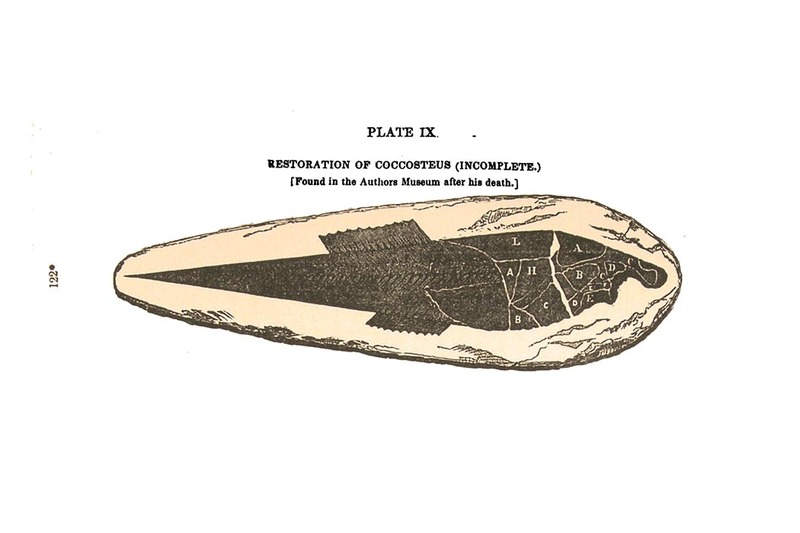 -- Geological Illustration of Dr. Johnson's shrewd Objection to the Theory of Soame Jenyns. -- Proofs of the intermediate Character of the Ichthyolites of the Old Red Sandstone. -- Appearances which first led the Writer to deem it intermediate. -- Confirmation by Agassiz. -- The Osteolepis. -- Order to which this Ichthyolite belonged. -- Description. -- Dipterus. 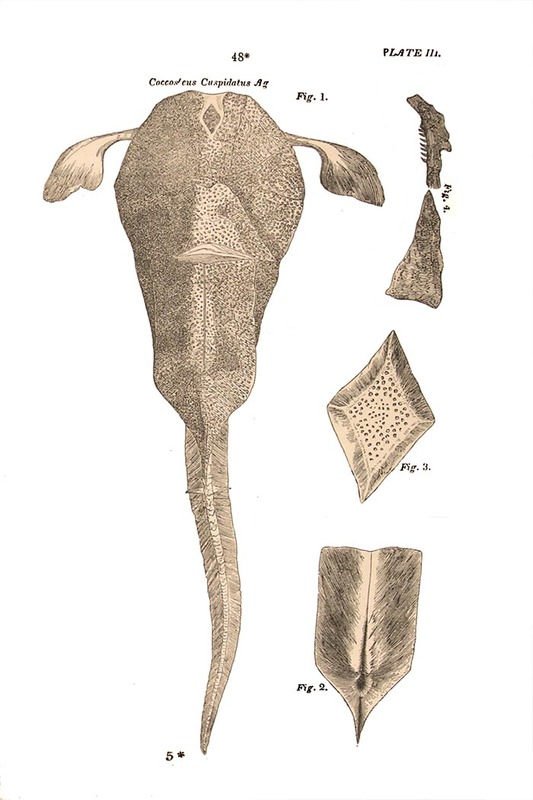 -- Diplopterus. -- Cheirolepis. -- Glyptolepis. The Classifying Principle and its Uses. -- Three Groups of Ichthyolites among the Organisms of the Lower Old Red Sandstone. -- Peculiarities of the Third Group. -- Its Varieties. -- Description of the Cheiracanthus. -- Of two unnamed Fossils of the same Order. -- Microscopic Beauty of these ancient Fish. -- Various Styles of Ornament which obtain among them. -- The Molluscs of the Formation. -- Remarkable chiefly for the Union of modern with ancient Forms which they exhibit. -- Its Vegetables. -- Importance and Interest of the Record which it furnishes. The Lines of the Geographer rarely right Lines. -- These last, however, always worth looking at when they occur. -- Striking Instance in the Line of the Great Caledonian Valley. -- Indicative of the Direction In which the Volcanic Agencies have operated. -- Sections of the Old Red Sandstone furnished by the granitic Eminences of the Line. Illustration. -- Lias of the Moray Frith. -- Surmisings regarding Its original Extent. -- These lead to an exploratory Ramble. -- Narrative. -- Phenomena exhibited in the Course of half an Hour's Walk -- The little Bay. -- Its Strata and their Organisms. Further Discoveries of the Ichthyolite Beds. -- Found in one Locality under a Bed of Peat. -- Discovered in another beneath an ancient Burying-ground. -- In a third underlying the Lias Formation. -- In a fourth overtopped by a stilll older Sandstone Deposit. -- Difficulties in ascertaining the true Place of a newly-discovered Formation. -- Caution against drawing too hasty Inferences from the mere Circumstance of Neighborhood. -- The Writer receives his first asistance from without. -- Geological Appendix of the Messrs. Anderson, of Inverness. -- Further Assistance from the Resaarches of Agassiz. -- Suggestion. -- Dr. John Malcolmson. -- His extensive Discoveries in Moray. 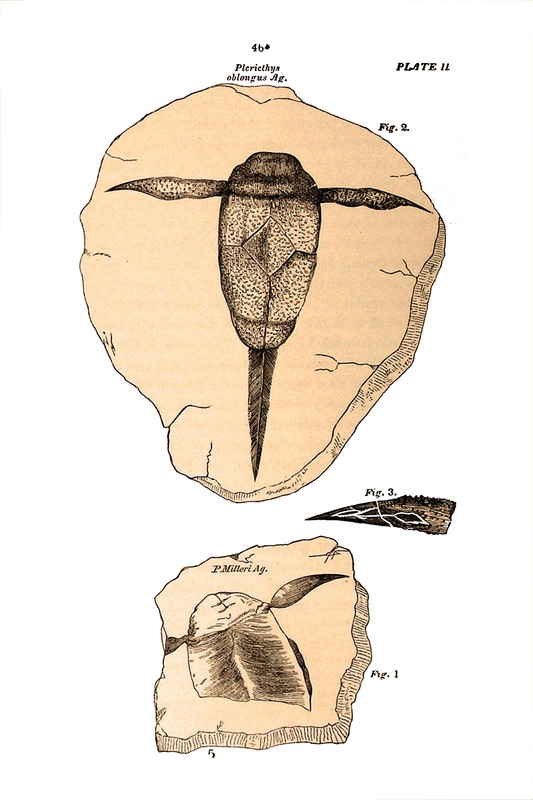 -- He submits to Agassiz a Drawing of the Pterichthys. -- Place of the Ichthyolites in the Scale at length determined -- Two distinct Platforms of Being in the Formation to which they belong. Upper Formations of the Old Red Sandstone. -- Room enough for each and to spare. 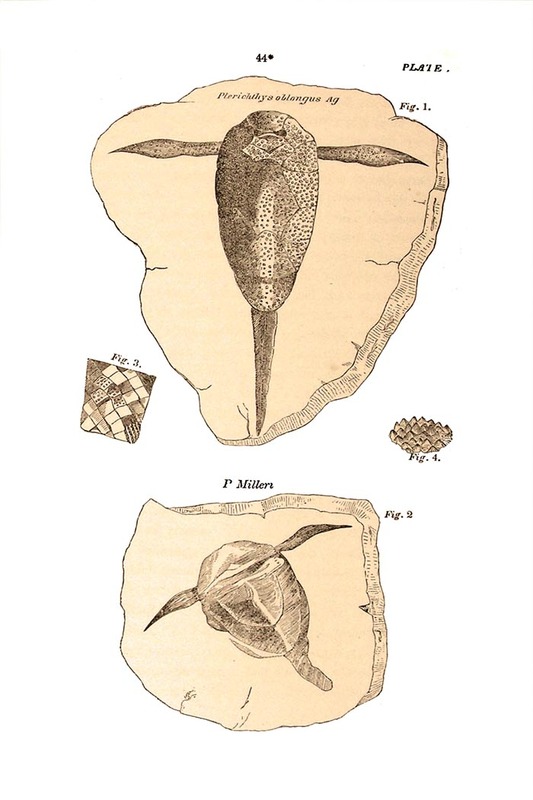 -- Middle, or Cornstone Formation.The Cephalaspis its most characteristic Organism. -- Description. 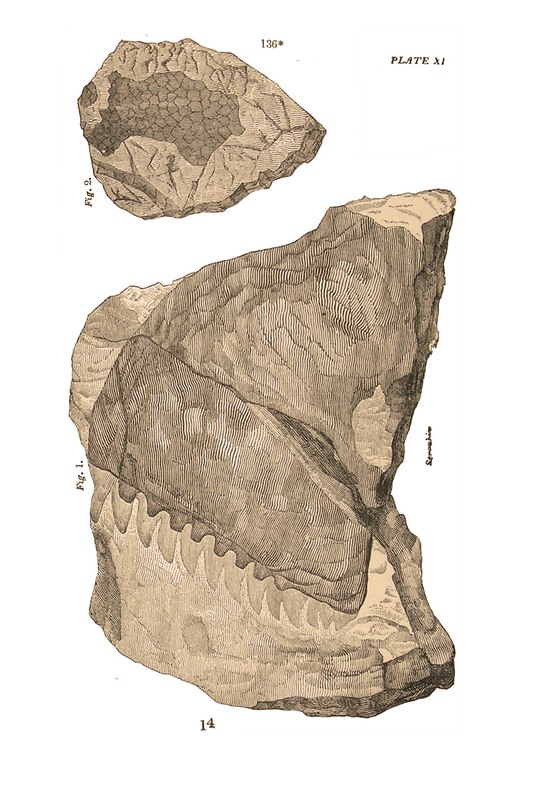 -- The Den of Balruddery richer in the Fossils of this middle Formation than any other Locality yet discovered. 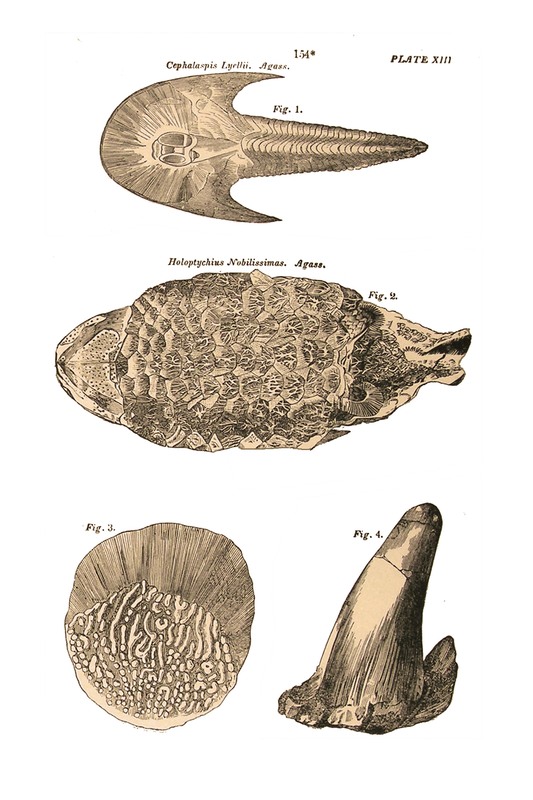 Various Contemporaries of the Cephalaspis. -- Vegetable Impressions. -- Gigantic Crustacean. -- Seraphim. -- Ichthyodorulites. -- Sketch of the Geology of Forfarshire. -- Its older Deposits of the Cornstone Formation. -- The Quarries of Carmylie. -- Their Vegetable and Animal Remains. -- TheUpper Formation. -- Wide Extent of the Fauna and Flora of the earlier Formations. -- Probable Cause. Fossils of the Upper Old Red Sandstone much more imperfectly preserved than those of the Lower. -- The Causes obvious. -- Difference between the two Groups, which first strikes theObserver, a difference in size. 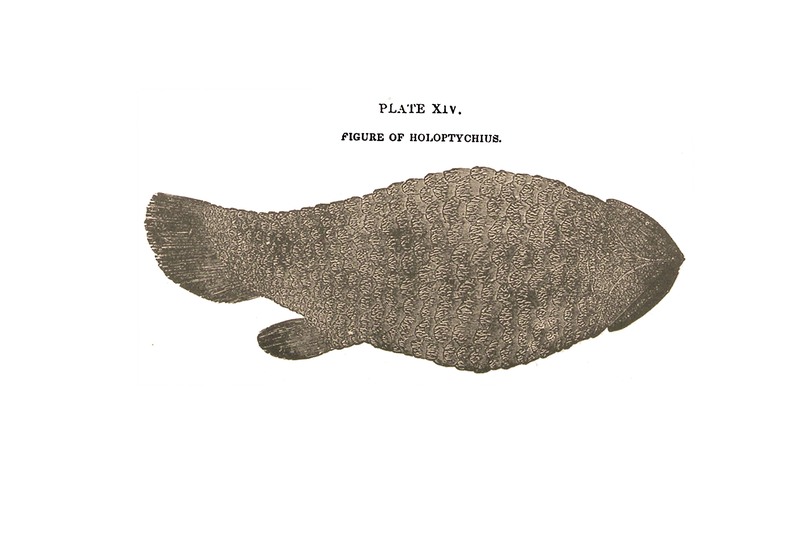 -- The Holoptychius a characteristic Ichthyolite of the Formation. -- Description of its huge Scales. -- Of its Occipital Bones, Fins, Teeth, and general Appearance. -- Contemporaries of the Holoptychius. -- Sponge-like Bodies. 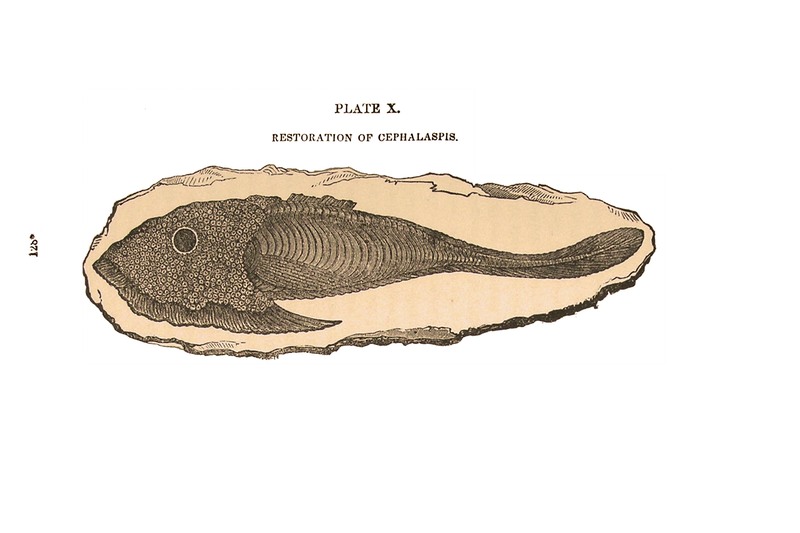 -- Plates resembling those of the Sturgeon. -- Teeth of various forms, but all evidently the teeth of fishes. -- Limestone Band and its probable Origin. -- Fossils of the Yellow Sandstone. -- the Pterichthys of Dura Den. -- Member of a Family peculiarly characteristic of the System. -- No intervening Formation between the Old Red Sandstone and the Coal Measures. 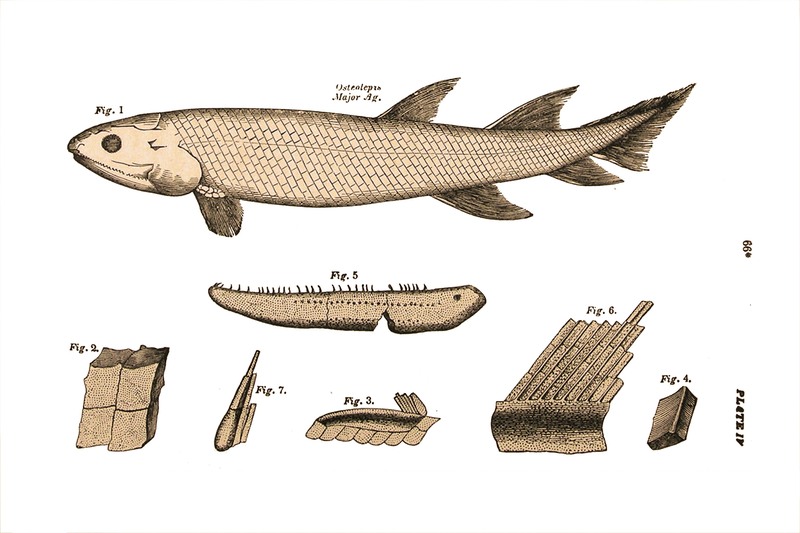 -- The Holoptychius contemporary for a time with the Megalichthys. -- The Columns of Tubal-Cain. Speculations In the Old Red Sandstone, and their Character. -- George, first Earl of Cromarty. -- His Sagacity as a Naturalist at fault in one instance. -- Sets himself to dig for Coal in the Lower Old Red Sandstone. -- Discovers a fine Artesian Well. -- Value of Geological Knowledge in an economic view. -- Scarce a Secondary Formation in the Kingdom in which Coal has not been sought for. -- Mineral, Springs of the Old Red Sandstone. -- Strathpeffer. -- Its Peculiarities whence derived. -- Chalybeate Springs of Easter Ross and the Black Isle -- Petrifying Springs. -- Building-Stone and Lime of the Old Red Sandstone. -- Its various Soils. Geological Physiognomy. -- Scenery of the Primary Formations; Gneiss, Mica Schist, Quartz Rock. -- Of the Secondary; the Chalk Formations, the Oolite, the New Red Sandstone, the Coal Measures. -- Scenery in the Neighborhood of Edinburgh. -- Aspect of the Trap Rocks. -- The Disturbing and Denuding Agencies. -- Distinctive Features of the Old Red Sandstone. -- Of the Great Conglomerate. -- Of the Ichthyolite Beds. -- The Burn of Eathie. -- The Upper Old Red Sandstones. -- Scene in Moray. The two Aspects in which Matter can be viewed; Space and Time. -- Geological History of the Earlier Periods. -- The Cambrian System. -- Its Annelids. -- The Silurian System. -- Its Corals, Encrinites, Molluscs, and Trilobites. -- Its Fish. -- These of a high Order, and called into Existence apparently by Myriads. -- Opening Scene in the History of the Old Red Sandstone a Scene of Tempest. -- Represented by the Great Conglomerate. -- Red a prevailing Color among the Ancient Rocks contained in this Deposit. -- Amazing Abundance of Animal Life. -- Exemplified by a Scene in the Herring Fishery. -- Platform of Death. -- Probable Cause óf the Catastrophe which rendered it such. Successors of the exterminated Tribes. -- The Gap slowly filled. Proof that the Vegetation of a Formation may long survive its Animal Tribes. -- Probable Cause. -- Immensely extended Period during which Fishes were the Master-existences of our Planet. -- Extreme Folly of an Infidel Objection illustrated by the Fact. 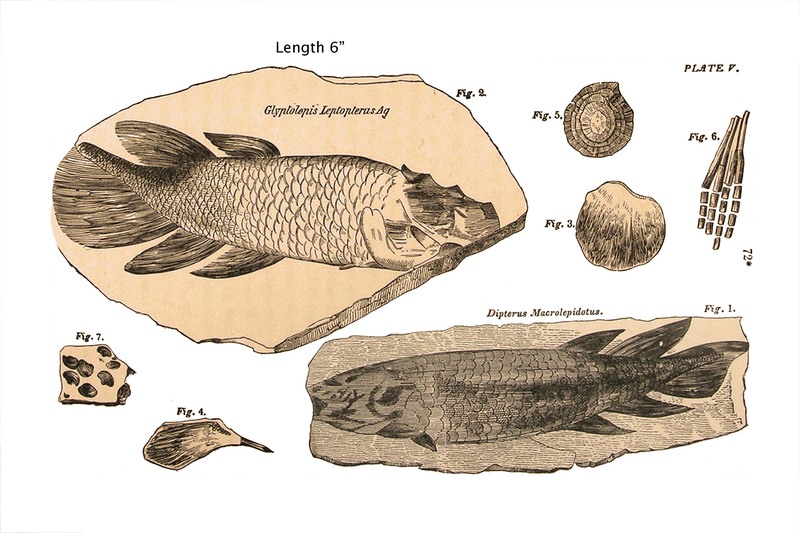 -- Singular Analogy between the History of Fishes as Individuals and as a Class. -- Chemistry of the Lower Formation. -- Principles on which the Fish-enclosing Nodules were probably formed. -- Chemical Effect of Animal Matter in discharging the Color from Red Sandstone. -- Origin of the prevailing tint to which the System owes its Name. -- Successive Modes in which a Metal may exist. 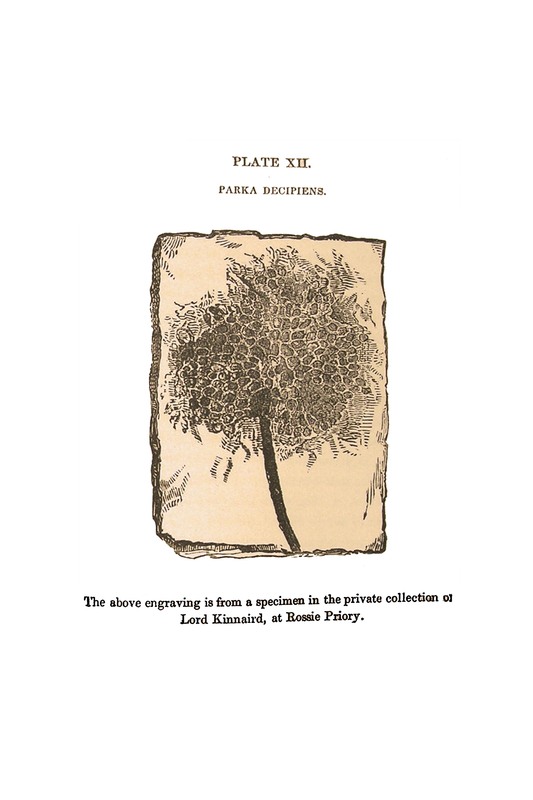 -- The Restorations of the Geologist void of Color. -- Very different Appearance of the Ichthyolites of Cromarty and Moray. The Cornstone Formation and its Organisms. -- Dwarf Vegetation. -- Cephalaspides. -- Huge Lobster. -- Habitats of the existing Crustacea. -- No unapt representation of the Deposit of Balruddery, furnished by a land-locked Bay in the neighborhood of Cromarty. -- Vast Space occupied by the Geological Formations. -- Contrasted with the half-formed Deposits which represent the existing Creation. -- Inference. -- The formation of the Holoptychius. -- Probable origin of its Siliceous Limestone. -- Marked increase in the Bulk of the Existences of the System. -- Conjectural Cause. -- The Coal Measures. -- The Limestone of Burdie House. -- Conclusion.